Hugh Boyle is the wrong age and lives in the wrong county to get car insurance. 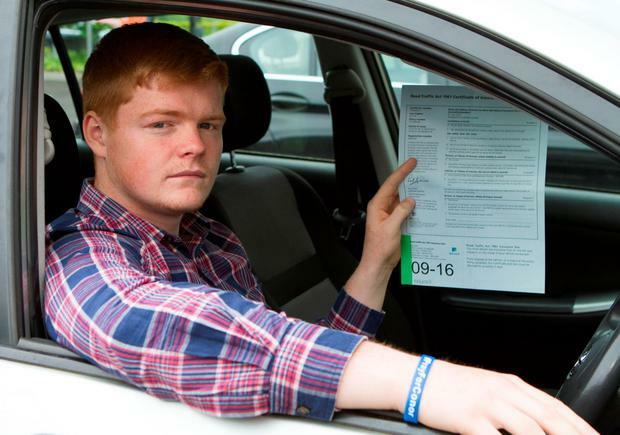 The 21-year-old student at Letterkenny Institute of Technology was quoted €14,000 last year to insure his 2004 Peugeot 307. Ever the optimist, he tried again earlier this year, hoping the policy quote would come down. It had. But not by much. "This time I was quoted at €9,478.48, earlier in the year. It's just not feasible to drive my car so it's parked up at home and I can't drive it," said Hugh. "I'm currently insured under my grandfather's car so I drive that occasionally. "I have been driving for two years with a full, clean driving licence. I'm from Annagry which is a rural part of west Donegal but live in Letterkenny when I'm studying. There isn't any public transport." He says he feels he is being "branded" because of his age. "I'm not into cars and I'm not into the rallying or anything like that," said Hugh. He has found a more recent quote but that wasn't feasible either. "I got quoted €6,140.19 if I paid in cash up front - or eight monthly instalments of €597.11, plus a deposit of €1,817.12, which is equal to €6,593.99," said Hugh. "When I used my Letterkenny address, I got quoted €5,558.91 and all I changed was my address from Annagry to Letterkenny." He says categorizing drivers based on age discriminates against good drivers. "In Australia and America, companies insure the car rather than the person but I suspect that is never going to happen here," he added.